We never played them. My wife bought me a guitar book (forget what it's called) and it claims a band members said we used them on all our records and on tv. We didn't. Mosrite guitars may have been good surf guitars...but, when it's all said & done, you still can't beat a Fender. 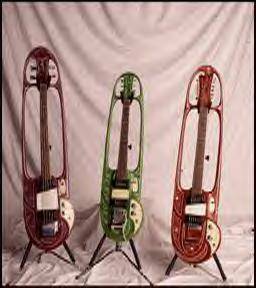 I look at these 'clothes pin guitars' and I get the heebie-jeebies! !